Charles Brown was born in 1849 in New York. 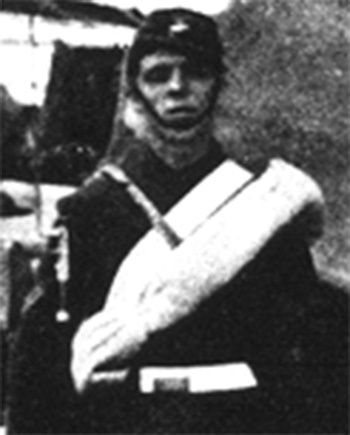 He enlisted in the U.S. Marine Corps on June 27, 1870, aboard the gunboat USS Ashuelot in Hong Kong, China. Corporal Brown served aboard Ashuelot until the Spring of 1871, when he transferred to the steam screw frigate USS Colorado. He participated in the U.S. Expedition to Korea in 1871, and was awarded the Medal of Honor for his actions aboard the USS Colorado at the Battle of Ganghwa in June 1871. Corporal Brown disappeared and was officially listed as a Deserter by the Marine Corps on October 12, 1871, but his whereabouts after that date, date of death, and place of burial are unknown. His Medal of Honor was awarded to him in absentia on February 8, 1872. Assisted in capturing the Korean standard in the center of the Citadel of the Korean Fort, June 11, 1871.